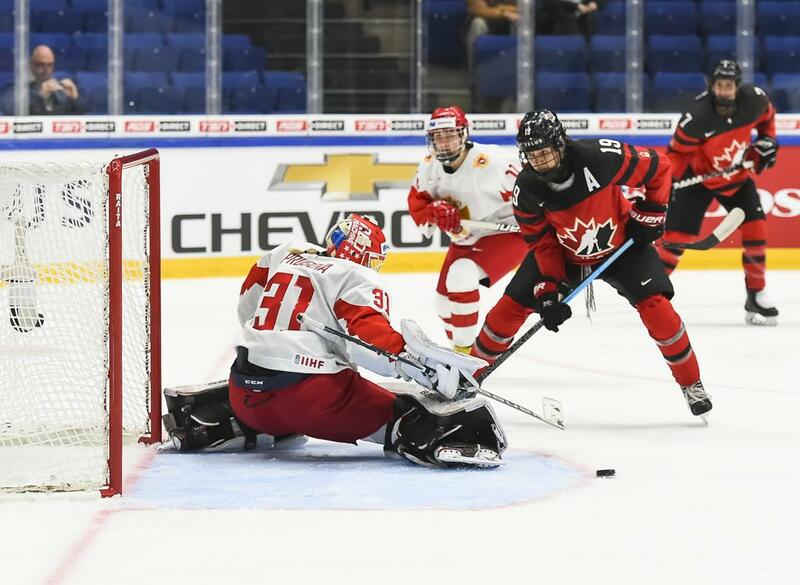 Team Canada continued its strong showing in the preliminary round of the IIHF World Championship with a 5-1 win over Russia on Monday in Espoo, Finland. Eight different players got on the scoresheet for Canada, as the team improved to 2-1 in the tournament. Here’s who stood out for Canada in Monday’s dominant victory. 3: Rebecca Johnston: Johnston (CWHL Calgary Inferno) scored her first goal of the tournament, Canada’s second of the day, on an incredible individual effort, making a move past a defender behind the net before coming out front and firing short side. Johnston’s goal proved to be the game-winner. 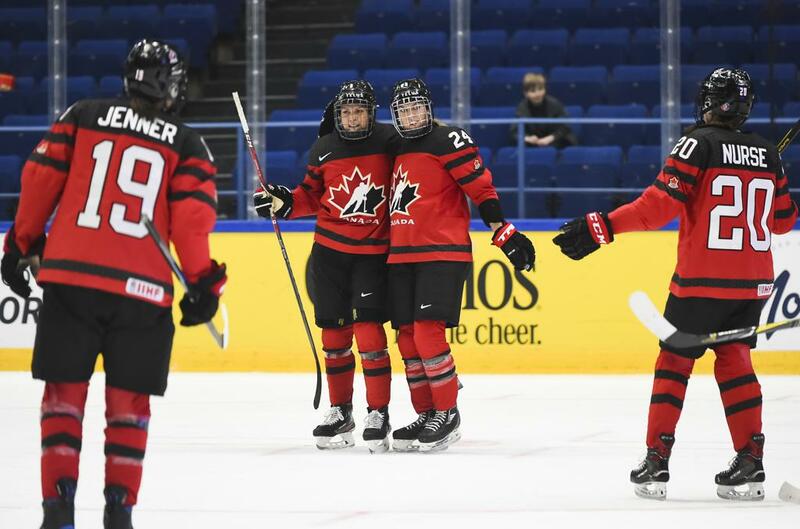 2: Brianne Jenner: Jenner (CWHL Calgary Inferno) has been strong all tournament and added a pair of assists for Canada on Monday, setting up Canada’s first and fourth goals. She now has five points in three games. 1: Natalie Spooner: Spooner (CWHL Toronto Furies) was a human highlight reel on Monday, finishing with a hat trick and an assist to have a hand in all but one of Canada’s goals. With her four-point performance, she took over the tournament lead with six points. After Monday’s win, Canada sits in second place in Group A behind the United States. However, Finland is close on Canada’s tail, also with six points and a 2-0-0-1 record in the preliminary round. Canada and Finland square off on Tuesday in a game that will have major implications on the Group A standings. Canada has been dominant throughout group play, with its only loss coming in a 3-2 decision against the rival United States. In its two wins, Canada has outscored its opponents, 11-1, and outshot them, 98-14. One of Canada’s biggest strengths throughout the tournament has been its scoring depth, as seven forwards have found the back of the net and all seven defenders have recorded assists. All five Group A teams (United States, Canada, Finland, Russia and Switzerland) advance to the elimination round, while three from Group B will also earn spots in the quarterfinals.